The Hain Tunnel is 745 metres long and runs mostly parallel with the original railway line. It consists of a rectangular frame with two cells and one track per tunnel tube. 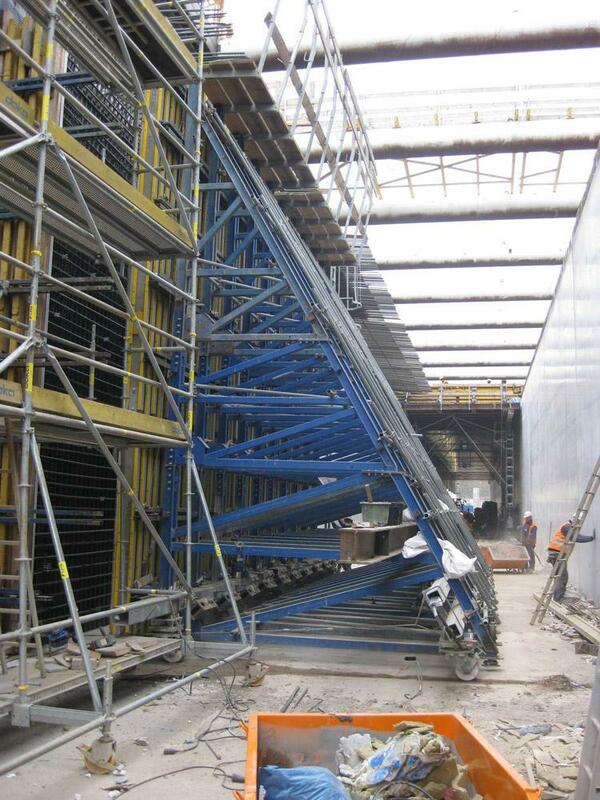 Commercially viable repositioning by crane was not possible because of the connecting rebars and the cross-pit bracing, so Doka opted to mount the Supporting construction frames on heavy-duty wheels. That made the frames easy to roll from one pouring section to the next. 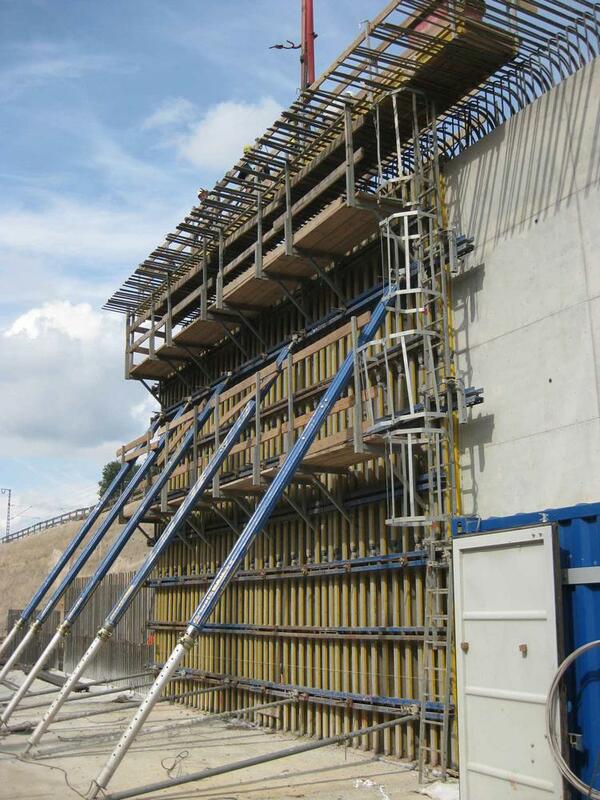 The middle walls were formed with Beam formwork Top100, reducing the number of form-tie points. 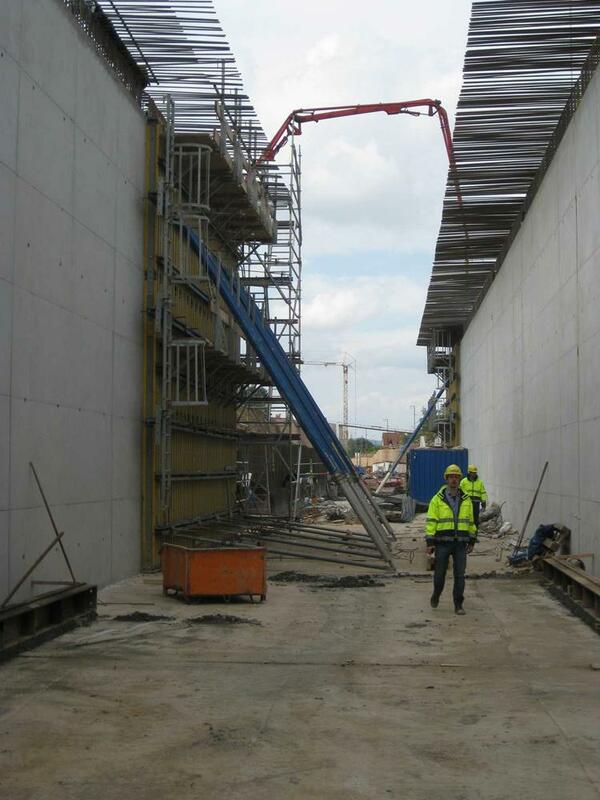 For the top-slab formwork Doka supplied the superstructure complete with stop-end formwork carried on the Positioning unit DokaCC. 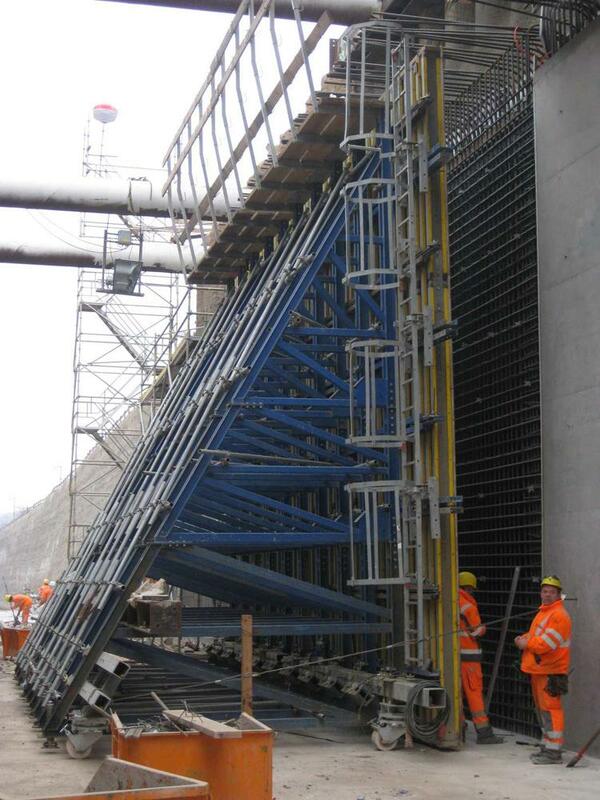 The Positioning unit DokaCC was also used for the slab stop-end. Modification to the Suspension head WS10 enabled the suspension points of the platforms to be used to transfer the concrete pressure into the wall at the same time. 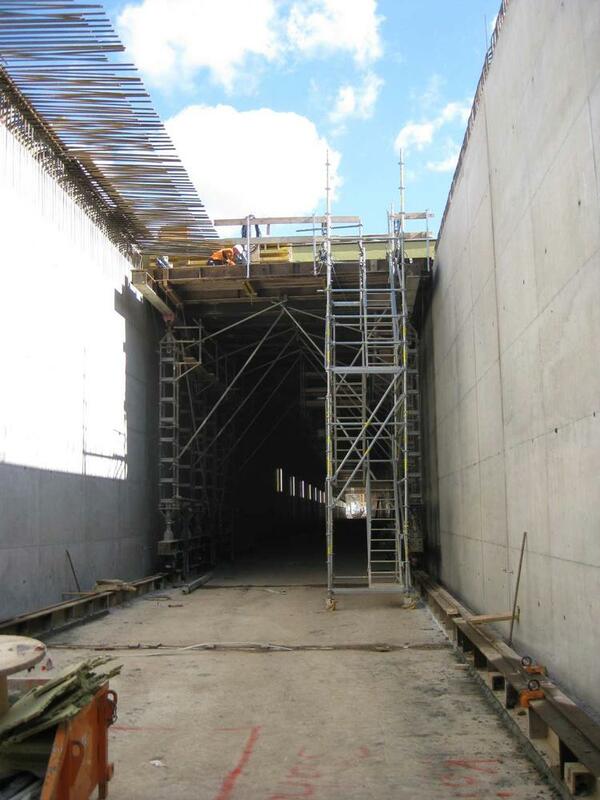 Thank you for your interest - Hanau-Nantenbach railway upgrade - Hain Tunnel. 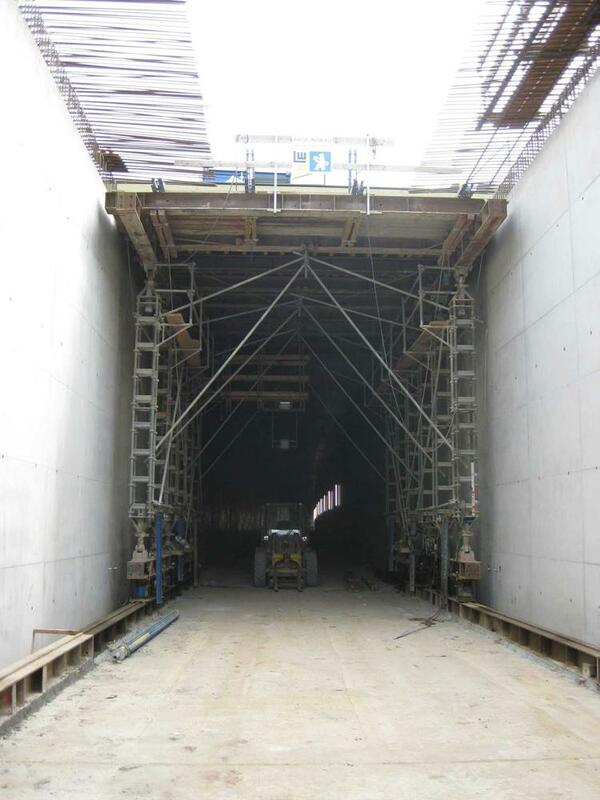 Thank you very much for your interest - Hanau-Nantenbach railway upgrade - Hain Tunnel.